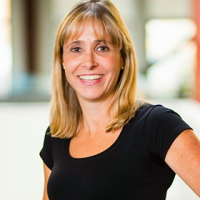 Sabrina Parsons is the CEO of Palo Alto Software, based in Eugene, Oregon. Sabrina has been the CEO for more than 10 years and has overseen the company’s transformative transition from a desktop software company to a cloud-based software company. Sabrina’s expertise spans over multiple subject matters. As a Princeton graduate, Sabrina follows her values of entrepreneurship and leadership in every venture. Prior to Palo Alto, Sabrina and her husband founded a software distribution business in London, specializing in creation, distribution and implementation of localized software products. This company eventually merged with Palo Alto as one of the leading software providers in the United States. Currently, Sabrina and her family reside in Eugene, OR. As a passionate leader in and supporter of her local community, Sabrina contributes her time and expertise as a Board Member and technology advisor of a multitude of non-profit organizations, such as the Princeton Entrepreneurs Network, Oregon Community Foundation, Eugene Area Chamber of Commerce, and a number of community organizations in Eugene. At every turn, she seeks new opportunities to leverage Palo Alto’s talented team in new community-building and workforce development endeavors.